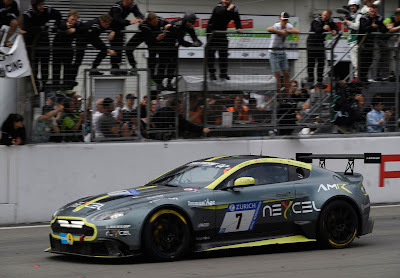 Darren Turner and his Aston Martin team mates, Nicki Thiim, Markus Lungstrass and Peter Cate, took the #7 Aston Martin Vantage GT8 to a dominant class win in the ADAC Zurich 24-hour race at the Nürburgring Nordschleife today, finishing eight laps ahead of their nearest class rival and 21st overall from a field of over 150 cars. 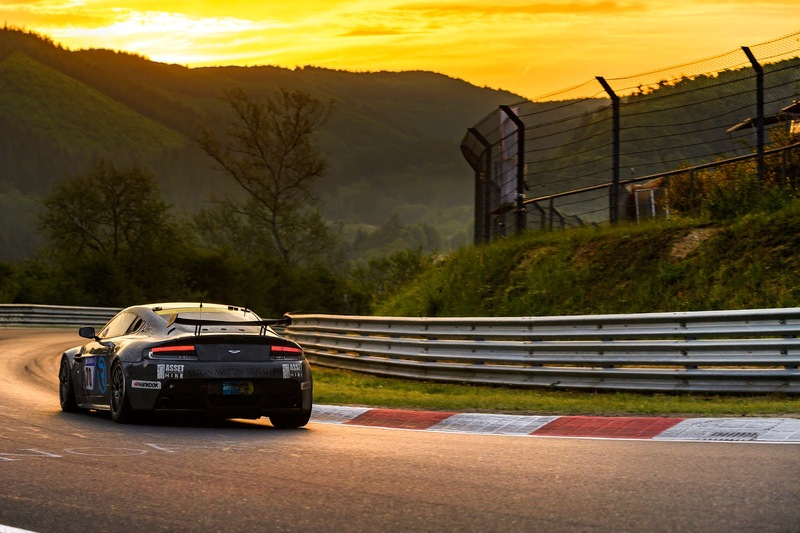 The Vantage GT8 took second place in qualifying for the 24-hour race. 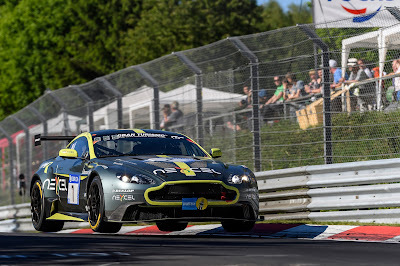 Although just short of the single lap pace of the P1 car the team knew they had a driver line up that would deliver the goods when the lights went green on Saturday. 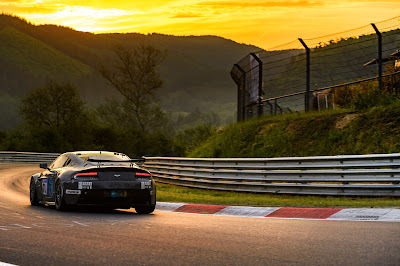 At the end of every stint the Vantage GT8 was refuelled and given a new set of tyres and sent on its way. 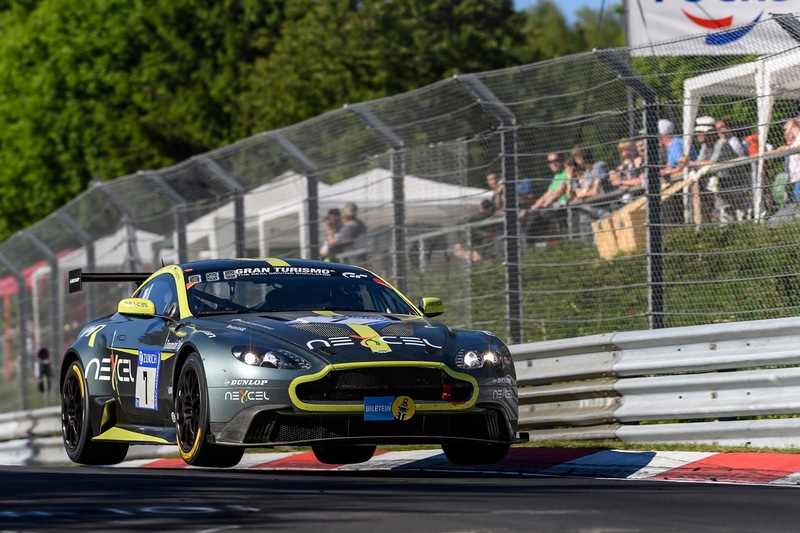 The car ran like clockwork throughout the race, with the longest delay down to a scheduled brake change at around the half way mark. 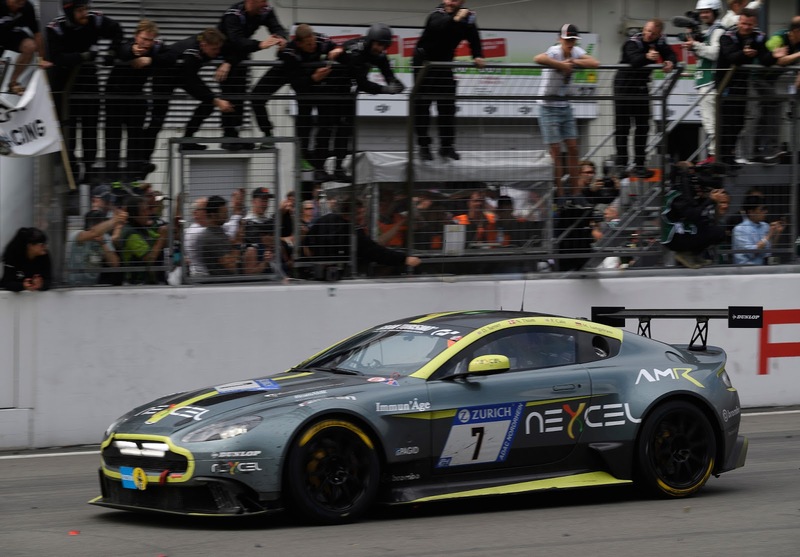 David King, President of Aston Martin Racing, set the team an objective to make it into the overall Top 30 by nightfall, which they duly delivered. The next target was a big ask: to break into the Top 20 by morning, but they almost did it, running in 22nd overall. After a sunny start to the race and a clear night it was inevitable that the weather gods wouldn’t let the race finish without some sort of intervention. 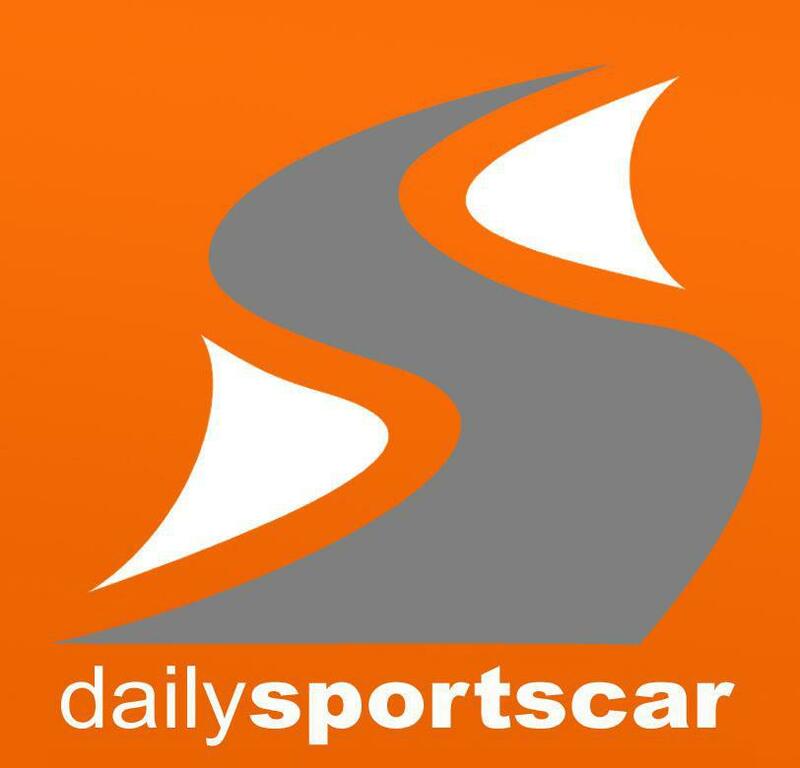 With less than 30 minutes to go half of the 12.9-mile track was treated to a downpour whilst Turner was at the wheel. He crossed the line as the winner of the SP8 class; in 21st place overall, a massive eight laps ahead of the second placed SP8 car.